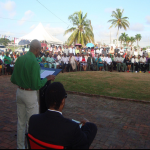 Leader of the Peopleâ€™s National Congress Reform (PNCR), Brigadier David A. Granger, M.P., launched his Christmas Outreach Programme on Sunday, 7th December 2014 with a visit to Aberdeen, Pomeroon-Supenaam Region (RegionÂ No. 2). 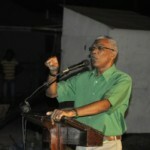 He was accompanied by his wife Mrs. Sandra Granger, Ms. Amna Ally, MP; Ms. Annette Ferguson, MP; Ms. Shondel Hope, Ms. Doreen Duncan and other Regional and Party Officials. 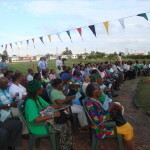 The team travelled by boat to Aberdeen where the leader was welcomed by over two hundred children, parents and Party supporters. 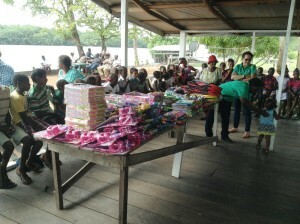 The event was a Christmas party for the children of that community. 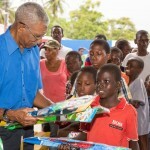 Mr. Granger lifted the spirits of the children of that riverain community as he and Mrs. Granger distributed toys to all those who were present. 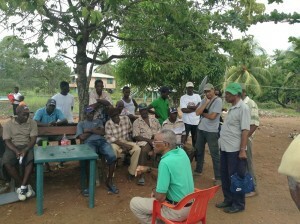 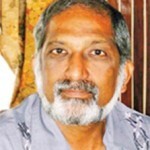 While on the Essequibo River, the Leader of the PNCR took the opportunity to meet with residents and brought them up to date on the current political situation in Guyana, including the prorogation of the National Assembly and the status of the Anti-Money Laundering legislation and the Peopleâ€™s Progressive Party/Civic (PPP/C) Administrationâ€™s squandermania in preparation for the forthcoming elections.